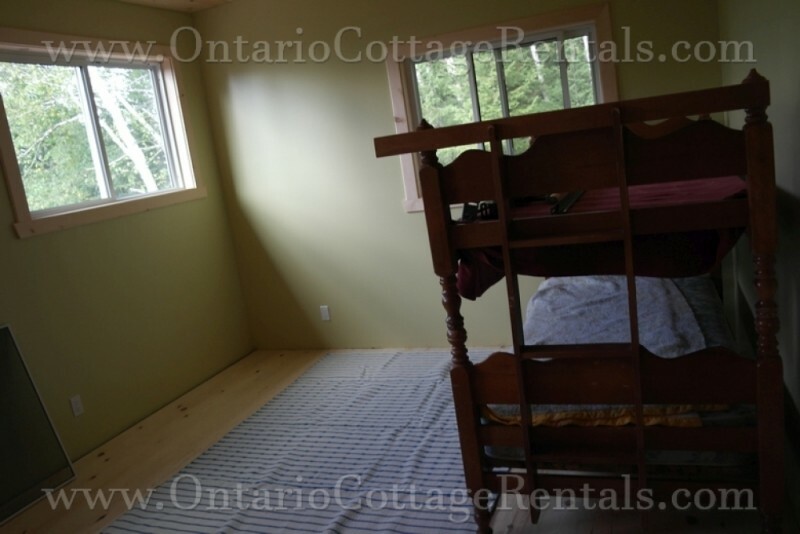 This newly built, bright and open concept cottage is located on beautiful Wolfe Lake near Powassan. 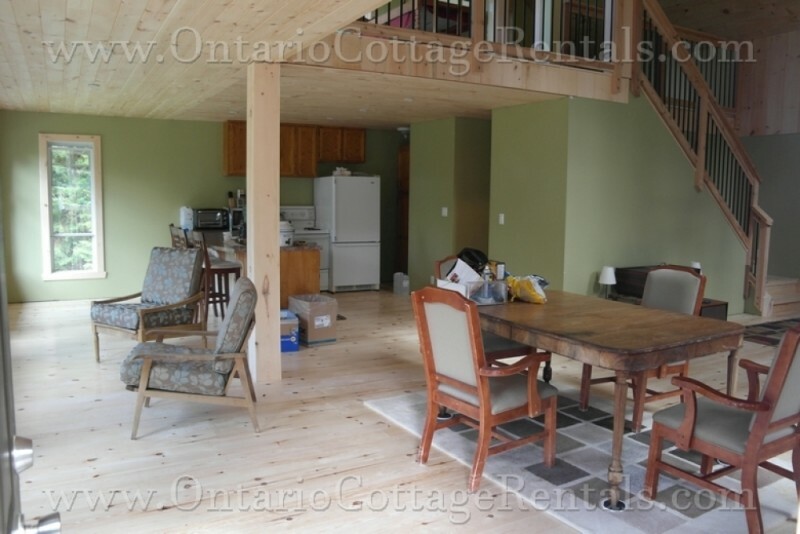 This cottage offers tons of natural light with the tall ceilings and many windows throughout. 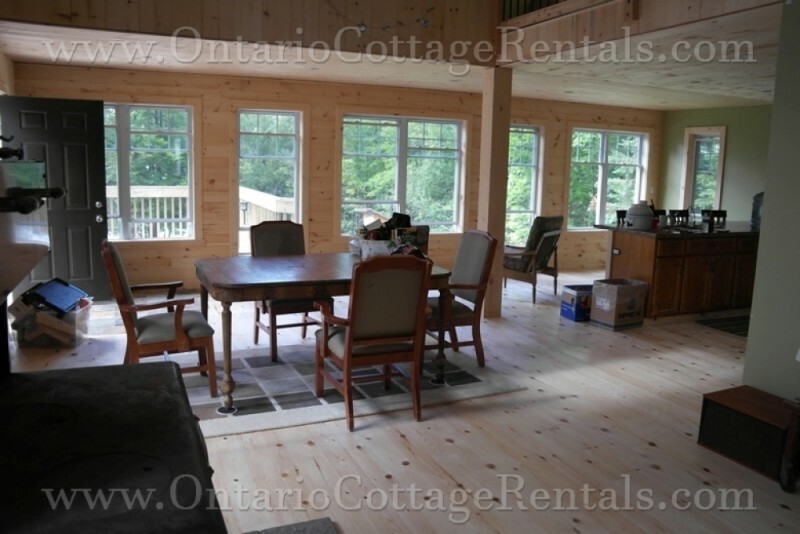 The pine wood floors throughout give this cottage a comfortable and homey feeling. 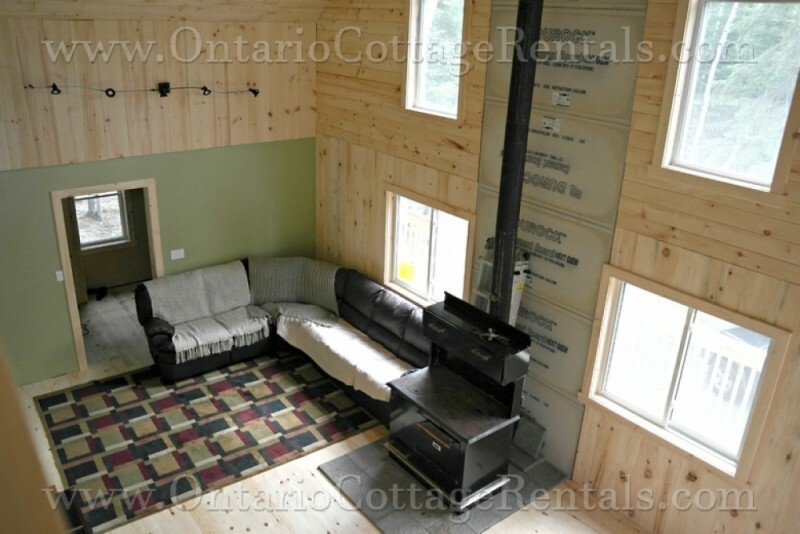 The whole living area is open concept with the kitchen, dining area and sitting area. 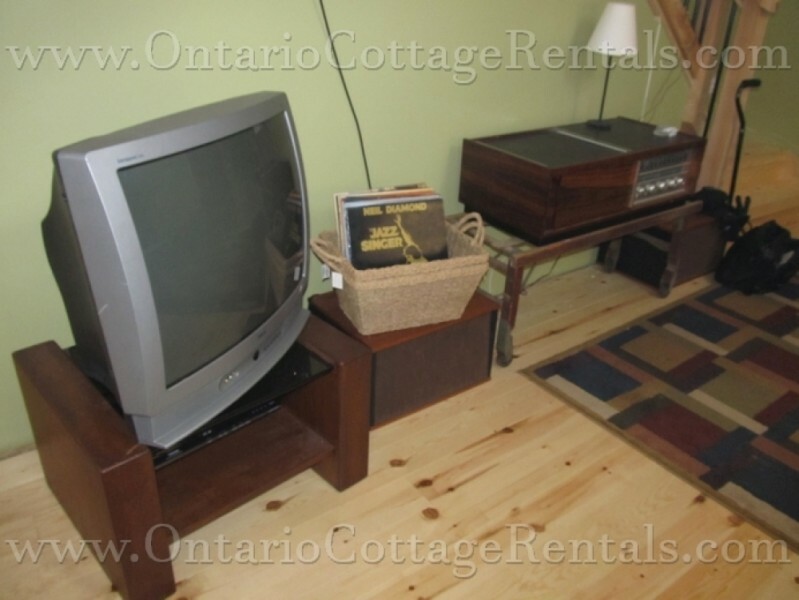 The living room has seating for six comfortably, with a radio, record player, television and DVD player for entertainment. 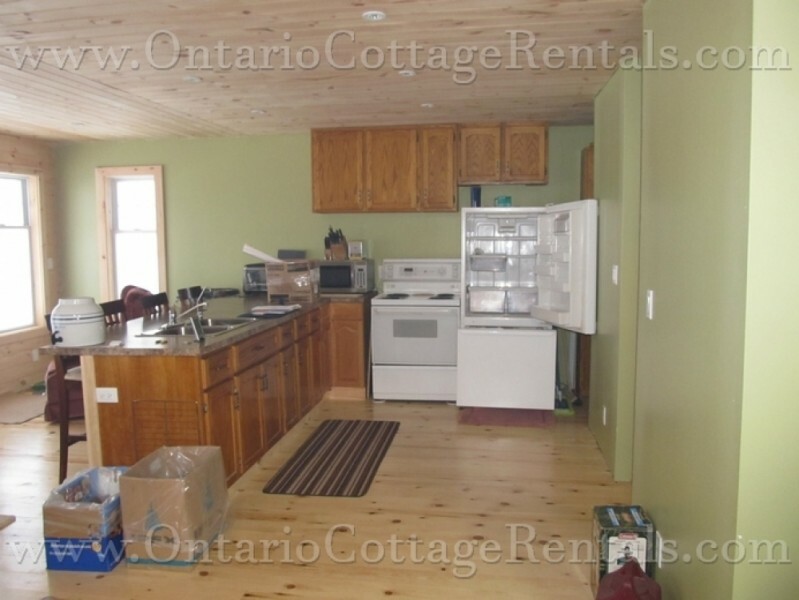 The kitchen is fully equipped with a fridge, stove, microwave, toaster and toaster oven. Enjoy family meals at the dining table where there is seating for four to six people, and additional seating at the counter where there are four bar chairs. There are three comfy chairs facing the waterfront which is perfect for reading a book or watching the kids play outside. Outside, there is a deck facing the lake, which is a great spot for enjoying the picturesque sunset over the lake. 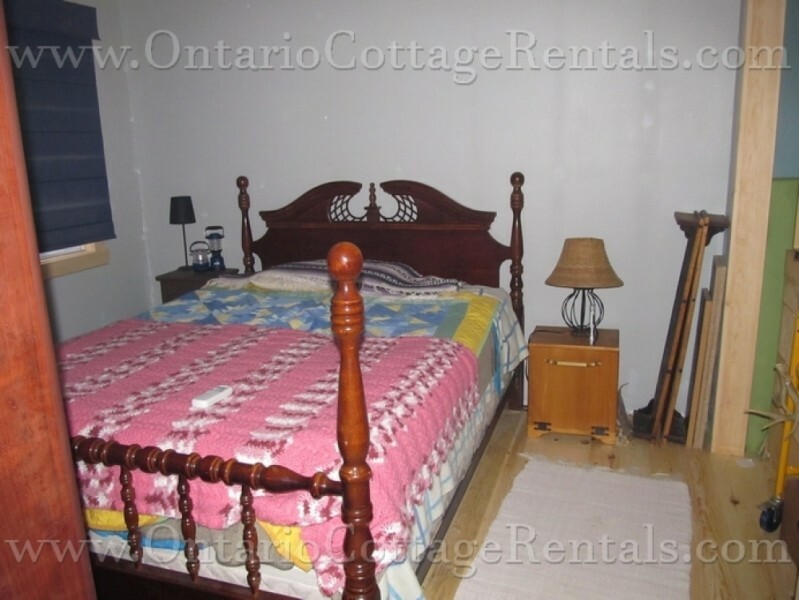 The master bedroom is located on the main floor and has a queen sized bed. The three-piece bathroom with a shower is also located on this floor. Upstairs, there is a loft with two additional bedrooms. There is a queen bed, a futon in one bedroom and a bunk bed in the second. There is a curtain separating the two rooms and an open concept built to the stairs. Outside, where the family will want to spend most of the time, there is usually a sandy beach of six to eight feet, depending on the water levels. 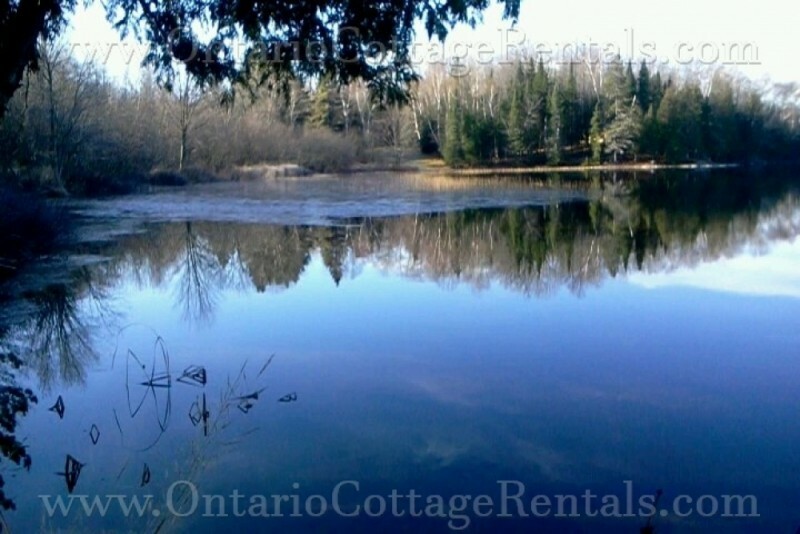 There is no dock at this cottage yet, but the lake bottom is solid and sandy with few to no weeds, making this perfect for wading in. Bring along some yard games to play on the grassy area, or relax by the water during the day. Enjoy a picnic on the grass near the lovely birch trees. 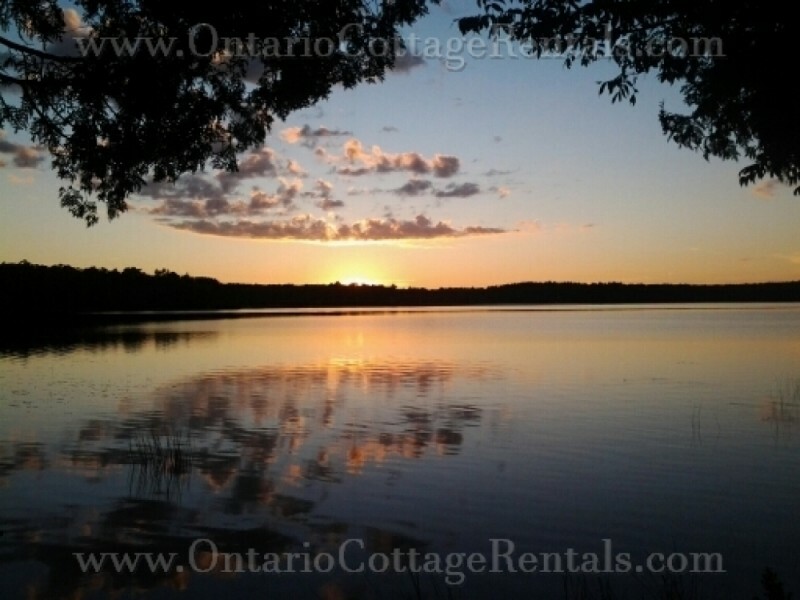 Explore the lake on the paddleboat or canoe that is provided with the cottage. Facing the water is a fire pit perfect for family gatherings, marshmallow roasting and smore making. 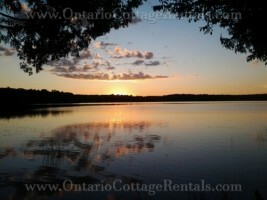 $750 per Holiday Weekend in Off Season - 3 Night Stay. 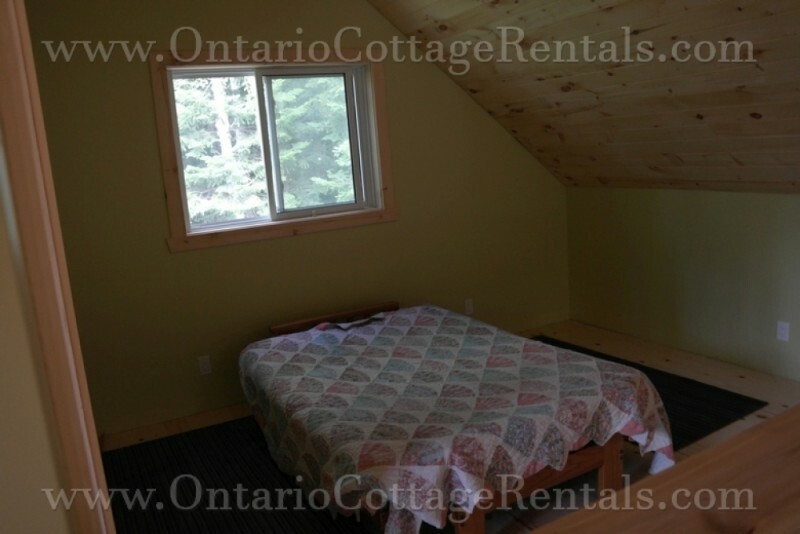 $500 per Regular Weekend in Off Season - 3 Night Stay. $600 refundable security deposit required. 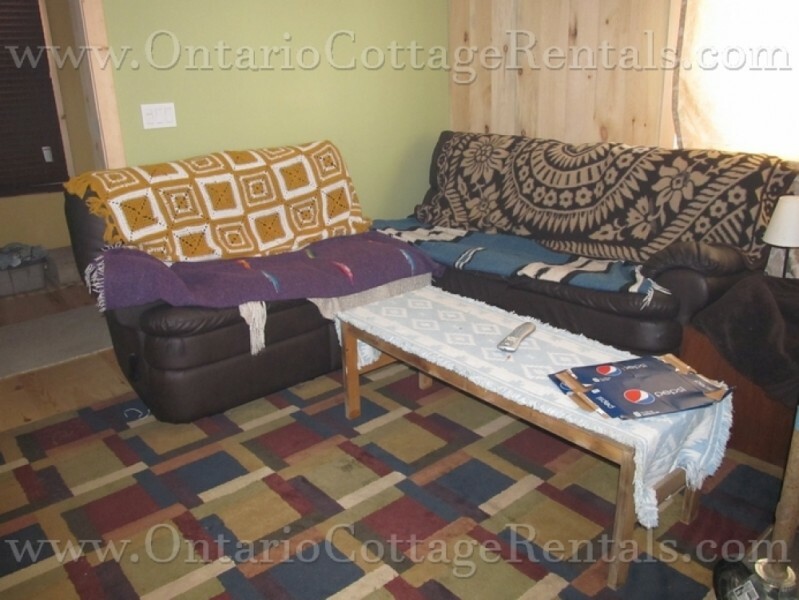 High-Season includes the last full week of June to Labour Day Monday, as well as the week of Christmas and New Year's (for year round cottages).